Dear IGNOU students, IGNOU has announced its June 2018 Term End Examination hall ticket or admit card. Admit Card or Hall Ticket is a very important document for the examination. Without it, a student may not be allowed to appear in the IGNOU June 2018 Examination. So it is suggested to all the students that you must download the IGNOU June 2018 Admit Card / Hall Ticket from here when it is available. IGNOU has announced its Tentative Date Sheet for December 2017 Term End Examination. Final date sheet or exam time table will be available here soon. In the case of non compliance of any of the above conditions, the result of all such courses will not be declared. Here you can download IGNOU BAR-056 question papers from June 2011 to December 2015. BAR-056 is one of the courses of bachelor of architecture (B.Arch.). The title of this course is TOPOGRAPHIC SYSTEMS. Time allowed for this paper is three hours and the maximum marks is 70. You need to attempt any five questions which carries 14 marks each. Here you can download IGNOU AOM-1 study materials & books provided by the university free of cost. 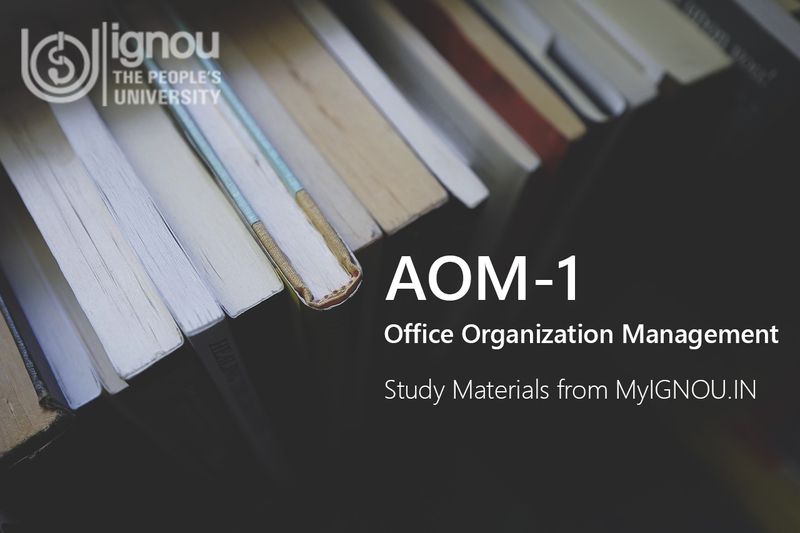 AOM-1 is the course code of Office Organization Management. It is one of the application oriented courses of bachelor's degree programme (BDP) offered by IGNOU. 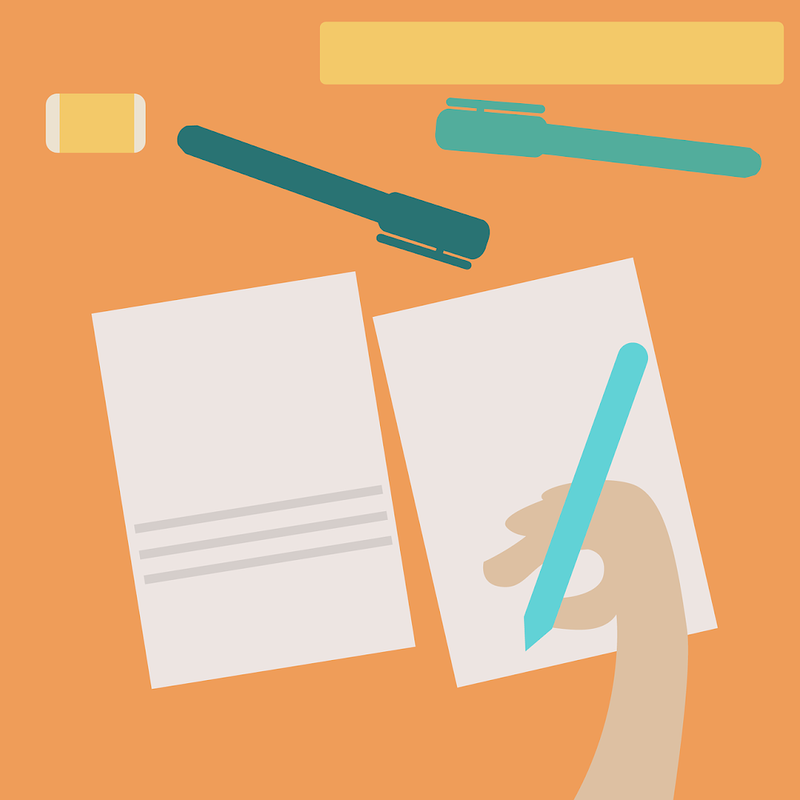 You can have a look at previous AOM-1 question papers to find out important sections. For your convenience, all units are compiled into one zip file for faster download experience. The full breakdown of its blocks and units is given below. Here you can download IGNOU AOM–01 question papers from December 2011 to December 2015. AOM-1 is one of the courses of bachelor's degree program (BDP). The title of this course is OFFICE ORGANIZATION AND MANAGEMENT. Time allowed for this paper is two hours and the maximum marks is 50. It carries 70% weightage. You need to attempt any five questions which carries 10 marks each. Here you can also find AOM-1 study materials & books here if you can to study online. Here you can download IGNOU ASP–01 question papers from December 2011 to December 2015. ASP-01 one of the courses of bachelor's degree program (BDP). The title of this course is SECRETARIAL PRACTICE. Time allowed for this paper is two hours and the maximum marks is 50. It carries 70% weightage. You need to attempt any five questions which carries 10 marks each. Dear IGNOU students, IGNOU has announced its December 2016 Term End Examination hall ticket or admit card. Admit Card or Hall Ticket is a very important document for the examination. Without it, a student may not be allowed to appear in the IGNOU December 2016 Examination. So it is suggested to all the students that you must download the IGNOU December 2016 Admit Card / Hall Ticket from here when it is available. Love to read our articles? Sign up now to get to know about IGNOU latest announcements and other important information. © MyIGNOU - A Blog for IGNOU Students 2016. Powered by Blogger.